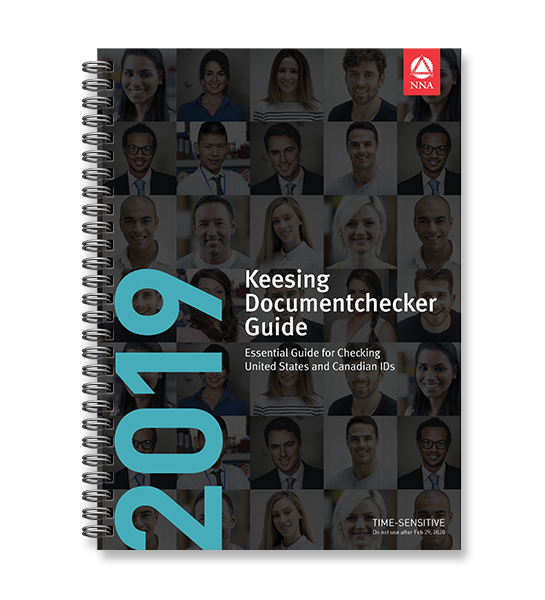 The NNA Keesing Documentchecker Guide is an easy to use, comprehensive guide for checking US and Canadian Driver's licenses and ID cards - an indispensable tool that can be used everywhere a positive verification is required. Includes corresponding essential security features for easy, quick verification in a spiral bound, lay-flat format. All the information on the ID you need to check is provided on one page.